Published Apr 2018 by Black Mask Comics. Written by Kwanza Osajyefo. 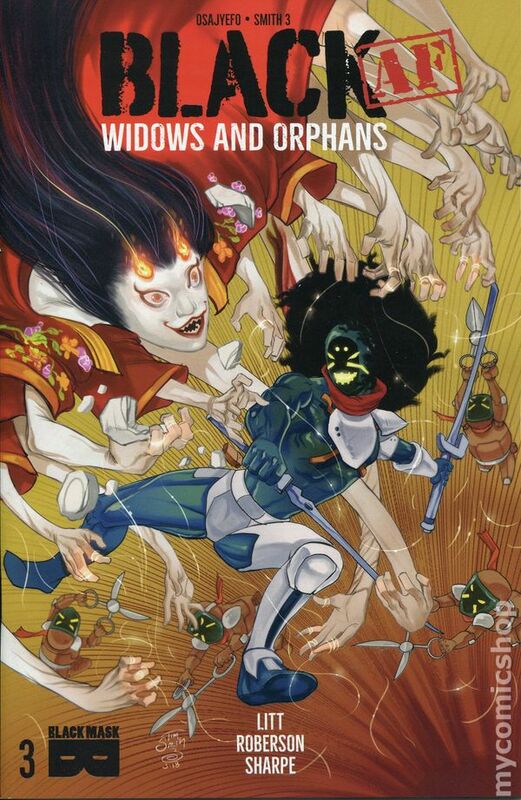 Art and Cover by Tim Smith. In a world where only black people have superpowers, what price do they fetch on the black market? From the pages of BLACK, this new story features Anansi and Hoodrat investigating a human trafficking ring that will take them across the globe and bring them face-to-face with dark pasts of abuse, child soldiers, and families torn apart. 32 pages, full color. Rated M Cover price $3.99. Published Jul 2018 by Black Mask Comics. Written by Kwanza Osajyefo. Art by Tim Smith. 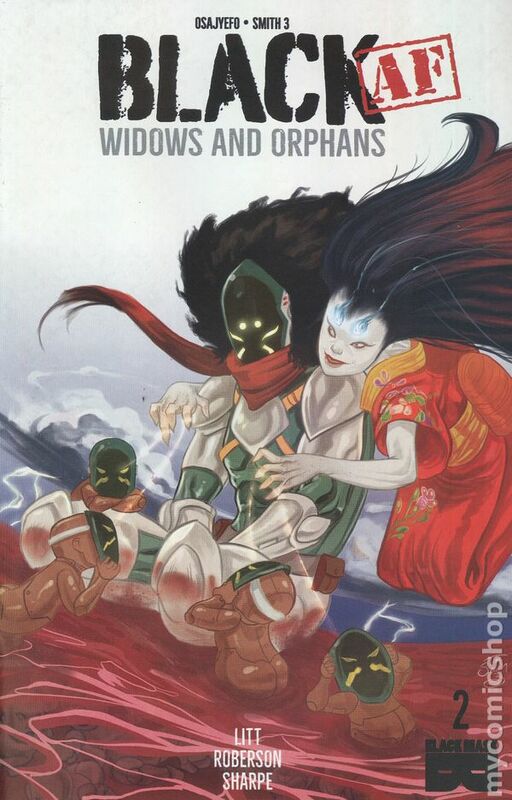 After surviving an attack from empowered black ninjas in Tokyo, Anansi receives clue which takes his human trafficking investigation to Russia. There, he infiltrates a grandiose mafia party which turns out to be an auction of empowered black children. The soiree is interrupted by another ninja attack! Are these ninja friend, foe, or something else altogether? 28 pages, full color. Rated M Cover price $3.99. Published Nov 2018 by Black Mask Comics. Written by Kwanza Osajyefo. Art by Tim Smith. 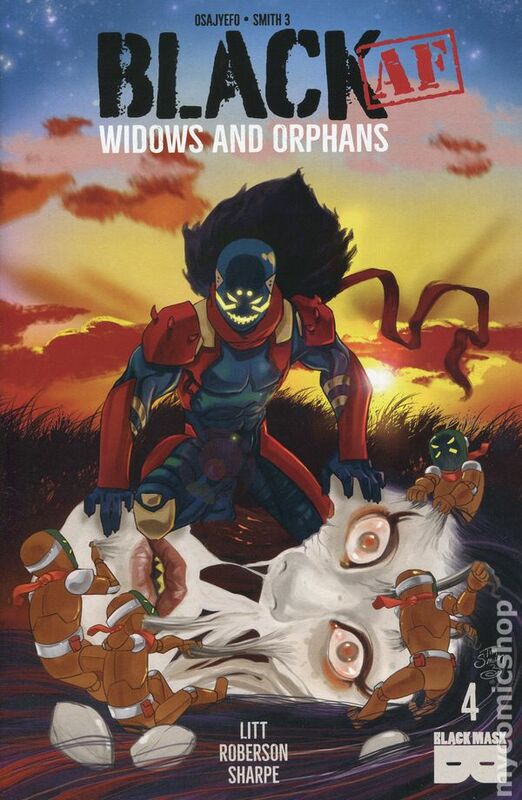 Broken and betrayed, Anansi must pull himself together to confront the true source of the system that trafficked him and other empowered black children into a life of slavery as human weapons. To do so, he'll have to face a past he's worked hard to bury and an enemy he may not be able to fight with a sword alone. 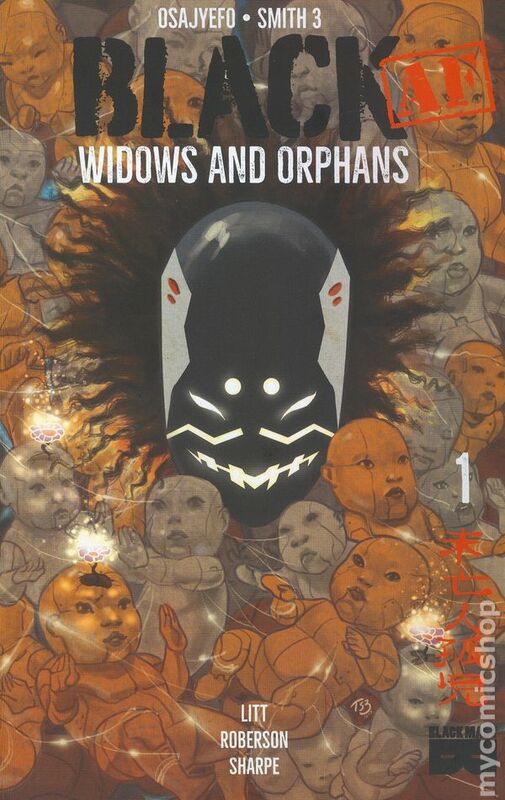 Get ready for the finale of Widows and Orphans! 28 pages, full color. Rated M Cover price $3.99.